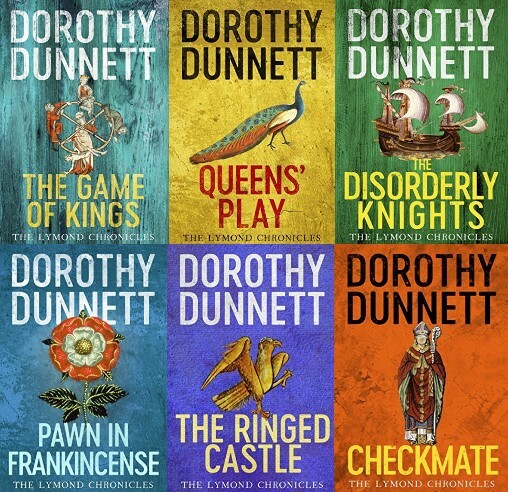 Today sees the reissue in the UK and Europe, South Africa, Australia and New Zealand of The Lymond Chronicles, Dorothy Dunnett’s wonderful six-volume series following the 16th century adventures of Francis Crawford of Lymond. As Dunnett is one of my favourite authors, I couldn’t let this day pass unmarked on my blog! Originally published in 1961, The Game of Kings is the first of the Lymond novels, and little did I know, when I picked it up for the first time in 2012 and read that opening line “Lymond is back”, that I was about to embark on the most enjoyable – and emotional – reading experience of my life. What do you think of the new Penguin covers? 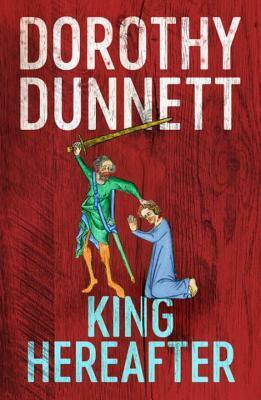 Dunnett’s standalone novel set in 11th century Orkney and Scotland, King Hereafter, has also been reissued today, although we will have to wait until 2018 for her other series, The House of Niccolò, to be given the same treatment. You can find more information on the reissues here and you may also find the Dorothy Dunnett Society website of interest. There’s an article about Lymond in today’s Guardian too. Finally, if you prefer your books in ebook format, Amazon UK currently have the Kindle version of The Game of Kings available for £0.99. It’s good that they’ve been re-issued but I prefer the old covers, some of them are really lovely. I haven’t read them all though, I must get on with that series. I think the new covers are attractive, but not entirely appropriate for the books. They look more medieval than Tudor to me. I hope you do get a chance to finish the series – all six books are wonderful! I think they’re very colourful and eye-catching. I am so glad that these have been reissued! Though my part of they are still not available in my part of the geography, I am hoping to have some my friends in UK purchase and parcel. I have been looking for this series forever! I like the older covers, but the new ones are striking and that has to be a good thing. I’m so glad the books are back out in the world again. I can’t decide if I really like the new covers or not, but they would certainly catch the eye in a bookshop. Thanks for the info -I’ve been thinking of reading thee books for years! I can’t recommend them highly enough, Margaret! This is my favourite series, so I hope you do decide to try it at some point. You’ve reminded me that I still haven’t finished the Horseman Riding By books! That’s great that they are reissued. Maybe more readers will get turned on to Lymond. I already have two complete versions. I don’t really need these new versions either, although I’m still tempted! I hope they do encourage new readers to try reading Lymond for the first time. Yes, I think it’s great when they reissue books like this! I haven’t read these but The Game of Kings is on my Classics Club list. I do have the Kindle version but I must admit I’m tempted by the new covers. What do you think of them? Do they reflect the books well? I think the covers are attractive, although the first one with the image of the wheel of fortune looks more medieval to me. Some of the earlier covers were very romance-y, though, so these are an improvement! I hope you enjoy The Game of Kings when you get to it for the Classics Club. How exciting that they’ve re-issued these books – maybe I will finally get round to reading them now! I hope so – they are definitely worth it! They seem so flashy, compared to the subtle tones of the older sets (were they Penguins? I think so…) and I wonder what Dorothy Dunnett would think of the new scheme. Nonetheless, it is probably a wise move, to draw new and younger readers to the works. Yes, some of the older editions were Penguins too. I think the new covers are very bright and eye-catching, but I don’t think they’re particularly appropriate for the books. If they help to attract new readers, though, they will have been a success. If you’ve not read these novels and you like exquisitely written historical fiction, now is your chance.